Browse: Home / sharesniffer – Network share sniffer and auto-mounter for crawler remote file systems. 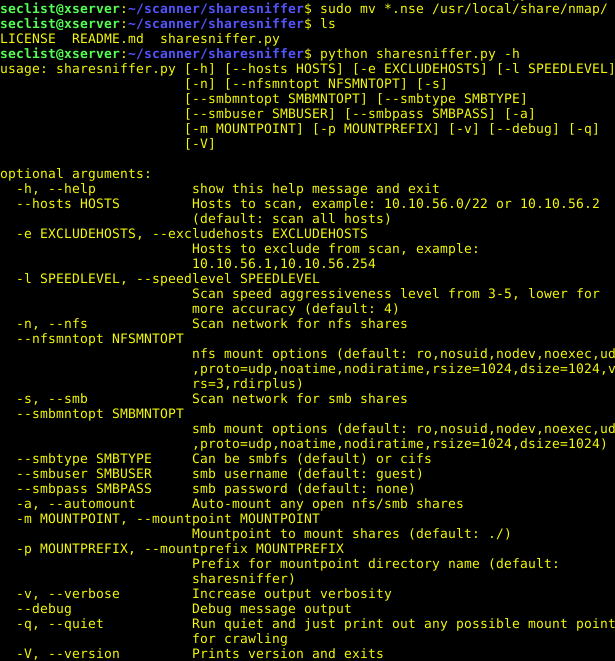 sharesniffer – Network share sniffer and auto-mounter for crawler remote file systems. sharesniffer is a network analysis tool for finding open and closed file shares on your local network. It includes auto-network discovery and auto-mounting of any open cifs and nfs shares. 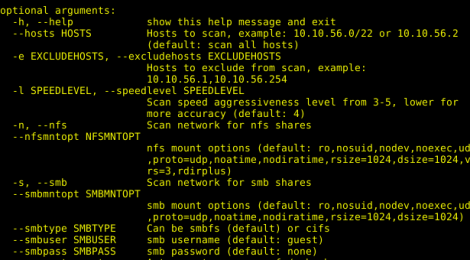 + nmap scripts (.nse) in PATH (on Linux/macOS they are usually in /usr/local/share/nmap/), if you don’t have the ones required are also in the rootdir of sharesniffer. ← ExifTool – Read and write metadata information in files.